Greet your hungry birds with this colorful, whimsical butterfly birdfeeder. 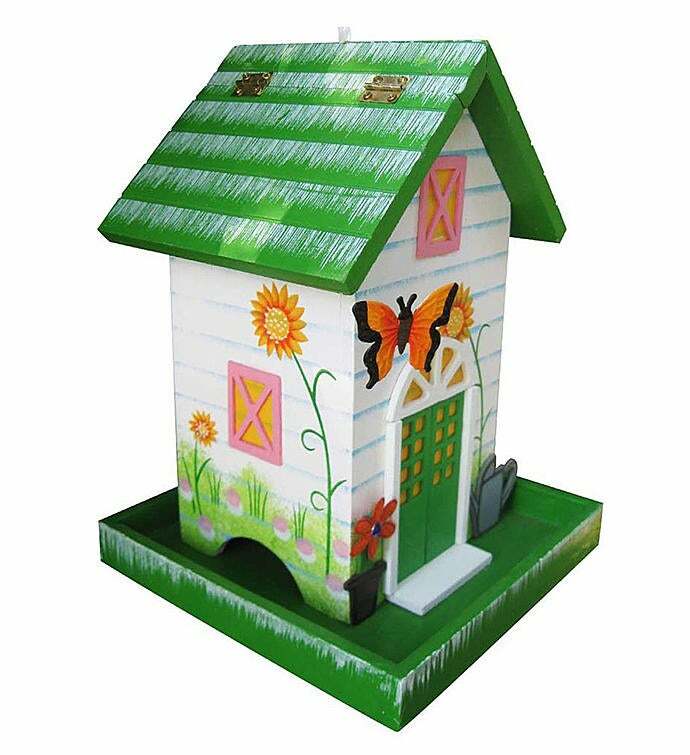 This birdhouse would be a great gift for anyone who loves to garden. Greet your hungry birds with this colorful, whimsical butterfly birdfeeder.